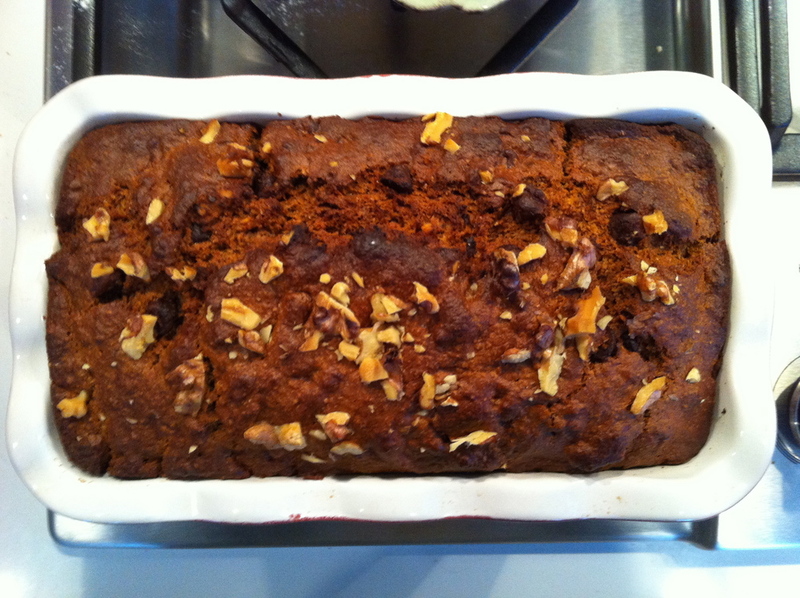 I mentioned a banana bread I made a while back, but realized I never posted the recipe. So this morning, seeing as it was basically raining ice (no not snowing, but raining ice: gross), Avi and I stayed in and did manis (she insisted on hot pink, so we braved the weather for a quick trip to Duane Reade for some formaldehyde-free, toluene-free, DBP-free (of course) nail polish). Then we made some banana bread. Of course this banana bread was made with whole wheat, free of sugar (we used brown rice syrup and barley malt), filled with raw chocolate, and walnuts. It's about as healthy as it could possibly get! Grease 2 loaf pans with oil or Earth Balance. In the bowl of a mixer place: the bananas, brown rice syrup, barley malt, flaxseed meal, almond milk, canola oil, and vanilla. Mix it together on low until the banana is pretty mashed up. Meanwhile in a separate bowl, combine the flour, baking soda, baking powder, cinnamon, nutmeg, chocolate chips, and walnuts. While the mixer is on add the dry ingredients to the wet 1/3 at a time.